What he found led him to file a lawsuit in a Virginia district court last month and it reveals that passenger rights are never a sure thing — even when it comes to something as seemingly certain as involuntarily denied boarding compensation. The Travel Troubleshooter: Can this cruise be salvaged? 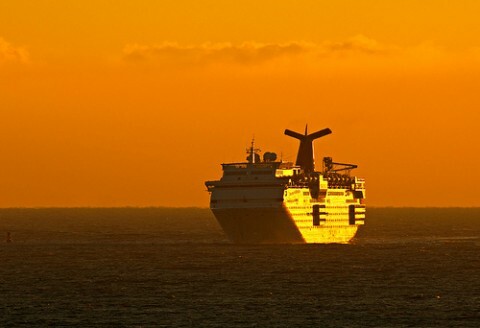 Question: We need your help with a Carnival cruise that went nowhere. Earlier this year, we booked a Western Caribbean cruise directly through Carnival, including airfare and shore excursions. On the day we were supposed to travel, our nightmare began. Our plane was delayed because of mechanical problems. So was the next flight. We missed the boat in Miami. We wanted to reschedule the cruise, but Carnival suggested that we catch up with the ship in the Cayman Islands. We had to pay for new tickets to the Caymans. But when we arrived in Miami, a Carnival representative asked us for passports — and we only had passport cards. We had to turn back to Cleveland. There were more mechanical delays. We made a claim with our travel insurance, but were only reimbursed $500 per person. Carnival says they should be able to give us something for the missed cruise but said we first had to fill out the insurance claim. Answer: This cruise just wasn’t meant to be. But it might have been — if you’d gotten a passport instead of a passport card. Posted in The Travel Troubleshooter Tagged BOARDING, Carnival, CRUISE, DENIED49 Comments on The Travel Troubleshooter: Can this cruise be salvaged? Veda Robinson and Jackie Smartt were looking forward to their Carnival cruise last December. But they never made it on board. Smartt had packed the wrong ID, and the cruise line left her standing at the dock. They also left Robinson standing next to her. Actually, it was a little more dramatic: Robinson says she was told she wasn’t going anywhere without Smartt, and then the pair was escorted from the building by security, even though they made no effort to resist. In other words, Carnival denied Robinson boarding, even though it had no reason to. Robinson and Smartt had to buy a last-minute airline ticket back to Memphis. Robinson contacted Carnival and asked for a full refund of her ticket, since she feels she should have been able to take the cruise. After all, the cabin had been paid for, and she had the right ID. In response, Carnival offered her a do-over cruise, based on availability, in February. Why not a full refund? “Carnival will not reimburse me for being denied boarding, even though I had documentation, because they recently advised me that the personnel at the pier asked me, “Do you want to board?” and documented on my incident report, that I said no,” she says. Editor’s note: This is part six in a series about the Transportation Department’s sweeping new airline passenger protection rules. You can read the entire document here (.DOC). Please take a moment to comment on these proposed rules at Regulationroom.org. The future of air travel depends on it. The problem with proposed rulemakings is that they often run on forever, and the journalists who are supposed to review them and report back gloss over the really important material. Result? You get the headline: “Government to raise denied boarding compensation.” And that’s it. But there’s more — so much more — when it comes to the proposed overbooking rules.